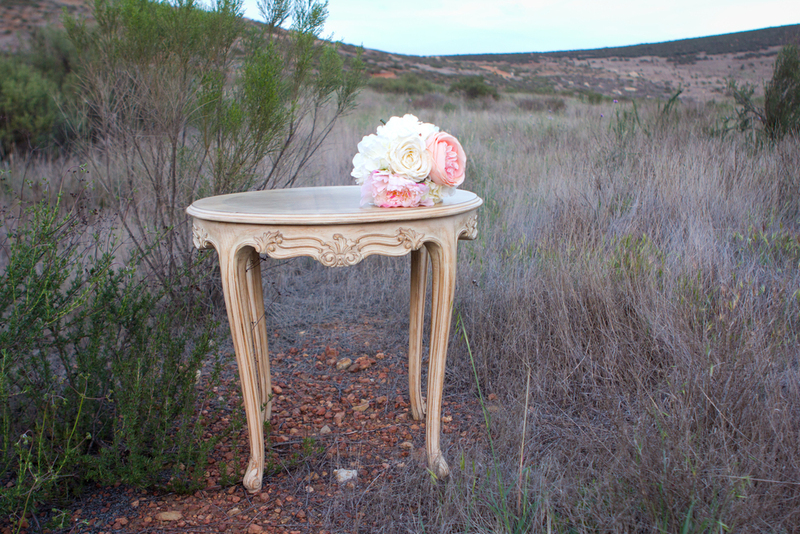 This vintage beauty makes a pretty sign in table, photo prop for the Bride to be, or a cake display! 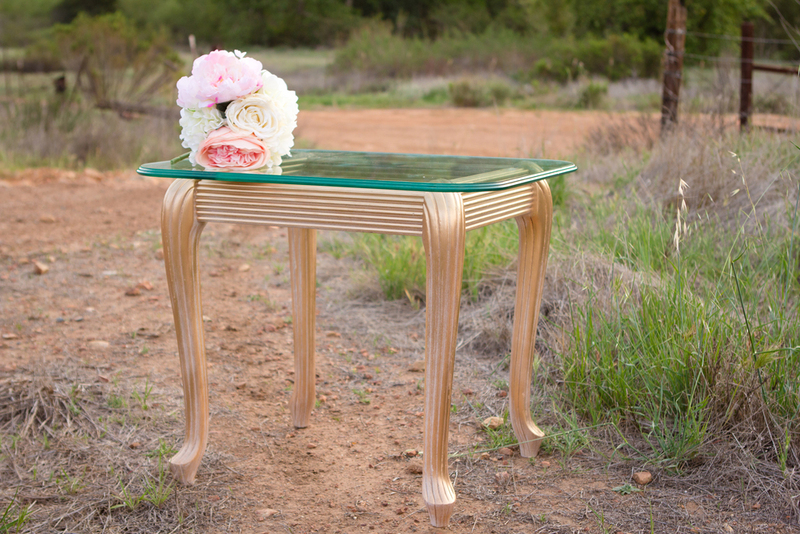 We love the gold detail on the legs. Savannah is trimmed in grey with white legs and a glass top. Penelope is soft and subtle with intricate carved details. 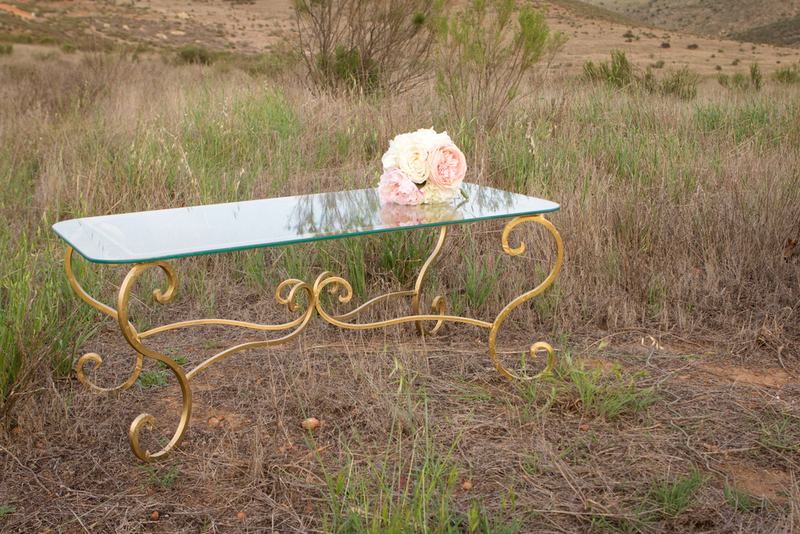 Our sweet and feminine gold wrought iron coffee table adds that bit of "girly" to a lounge area. 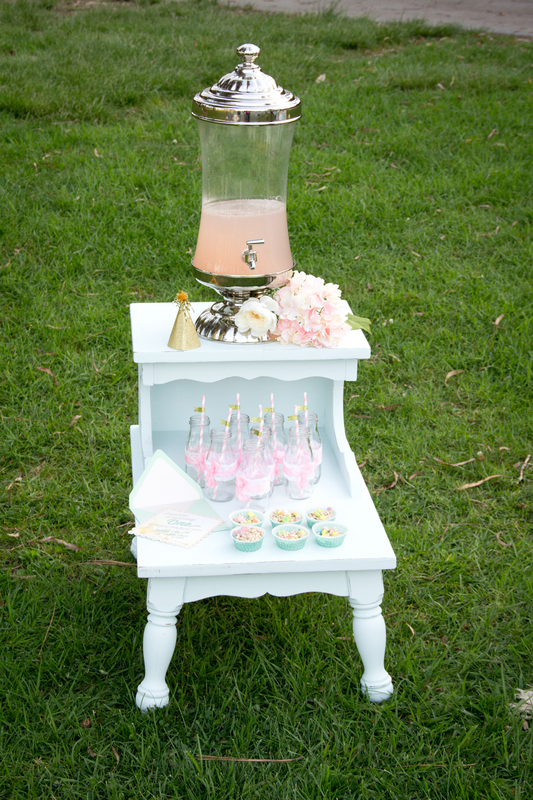 This adorable vintage dresser is perfect as a sign in table, dessert bar, gift table, drink station...the ideas are endless! Hardware is interchangeable too! She can wear silver, gold, white, or vintage rose hardware. 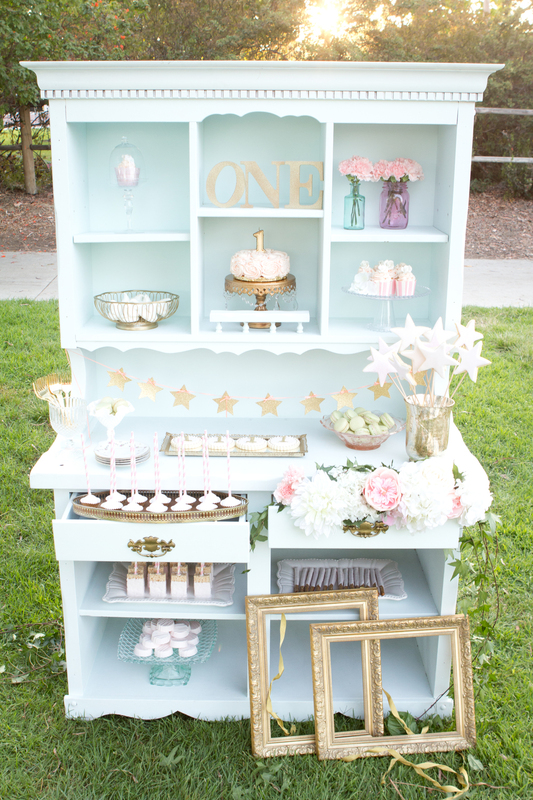 Adorable mint hutch? Yes please. 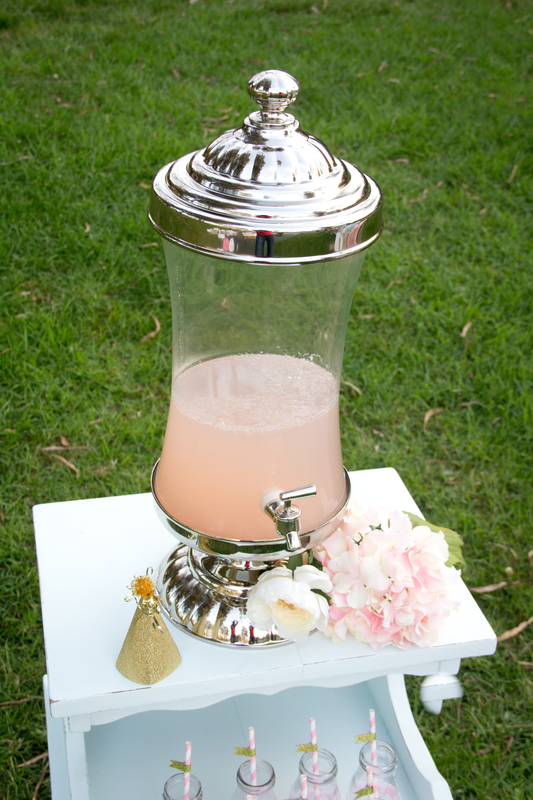 Perfect as a dessert display, drink station, program holder, appetizer station, or favor display...you can't go wrong.